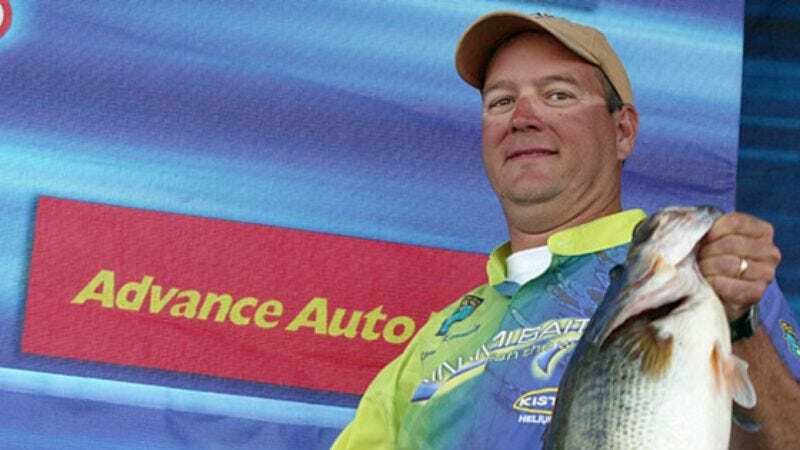 KENTUCKY LAKE, TN—Despite being behind in the catching of fish going into the final segment or round or whatever of last weekend's Bassmaster event, angler Steve Kennedy was able to come from behind to win, presumably by catching more or larger fish at what must be assumed was the last minute. "This was one of the best displays of clutch fishing I have ever seen," said Bassmaster.com reporter Doug Grassian, who is almost certainly an expert in this area. "Keep in mind that he had to contend with a fog delay and encroaching spectator boats. Also, it's amazing that [approximately 300 words omitted], all told this man dug deep down the stretch and came through at the end to show us all what being a Bassmaster really means." Experts are still debating whether or not the performance will change the very definition of bassmastery.